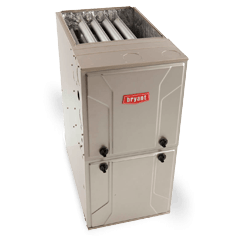 Do you need to replace your old inefficient furnace? Maybe your heating and cooling costs are out of control, or the furnace is on its last legs and simply not worth fixing. The time to replace it is now, before it conks out in the middle of a cold snap or a summer heat wave, leaving the furnace fan unable to circulate the cool air. Today’s furnaces can achieve almost 98 percent efficiency. That’s good not only for you and your pocketbook but also for the environment. 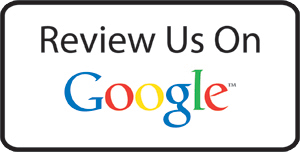 Let our certified and fully trained technicians recommend the right unit for you. Start saving money today! The Evolution 96T raises the bar for temperature control with our Perfect Heat functions and saves significantly on heating costs with an exceptional energy efficiency of up to 96.5% AFUE. The Preferred 96T delivers an even, consistent flow of heated air to significantly reduce hot and cold spots in your home and saves on heating costs with an energy efficiency of up to 96.2% AFUE. The Preferred 95S can save significantly on heating costs with an energy efficiency of up to 96.2% AFUE to provide soothing, winter comfort you and your family deserve. Call us at 613-739-4515 to learn more.